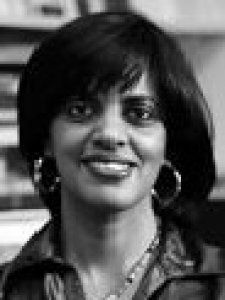 Chinsamy-Turan (PhD, 1991, U. of Witwatersrand) is professor and head, Dept. of Biol. Sciences, Fac. of Science, U. of Cape Town (UCT), South Africa. She is board member, Jurassic Foundation (USA); member, edit. board, Quest Magazine. She was chair, Assoc. of Women in Sci. and Engg. ; Scifest Africa Adv. Board; deputy pres., Acad. of Science of South Africa; dir. and co-acting CEO, Natural History Collections Div., Iziko Museums, Cape Town; co-acting CEO, Iziko Museums, Cape Town; spec. scientist, South African Museum, Cape Town. Honours include: TWAS Sub-Saharan Africa prize for communication and popularization of science, 2013; NRF Transformation award, 2012; TÜBITAK Vis. Scholar Award, Turkey; South Africa's Woman of the Year in Sci. and Techn. 2005; and Dist. Woman Scientist Award, Dept. of Sci. and Techn., South Africa. She is a fellow of the Royal Society of South Africa and UCT. Keywords	 Zoology; palaeontology; paleobiology; Mesozoic terrestrial ecosystems; comparative vertebrate morphology; avian paleobiology.